Built in 2010 and fully refitted in 2018, Skyfall has been exceptionally well maintained, giving her the look and feel of a brand new yacht. 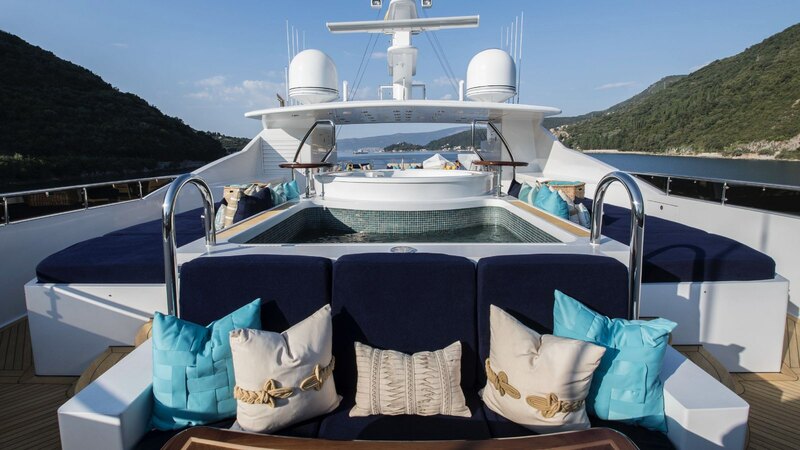 Boasting a huge number of amenities, her design cleverly maximizes all on board areas where charter guests have several different living areas, all generously proportioned, to choose from around the vessel. She is also wheelchair friendly, with a wheelchair friendly VIP stateroom and a beautiful elevator accessible from the accommodation deck to sky lounge. Skyfall boasts huge, light-filled opulent spaces with a timeless and elegant interior by Patrick Knowles. 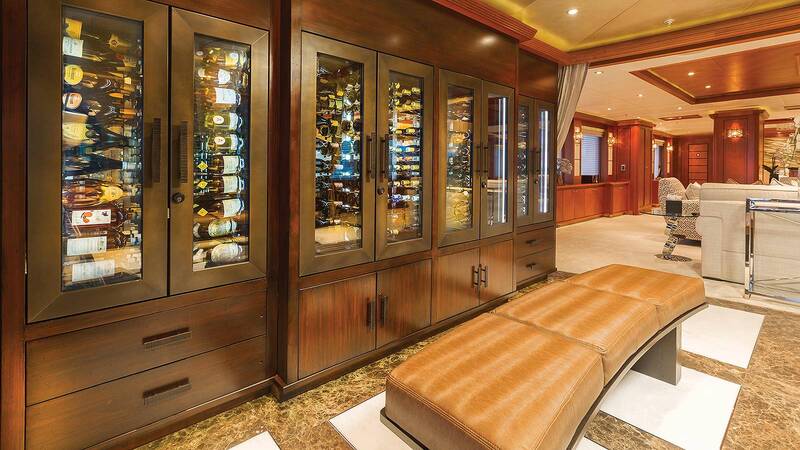 An entrance foyer, flanked with striking wine display cabinets on each side, leads directly from the aft deck and into the main salon which is home to comfortable seating, a full entertainment system and formal dining for 12. A second large main guest space is the panoramic sky lounge on the upper deck which features include a versatile game table, bar and comfortable lounge area. 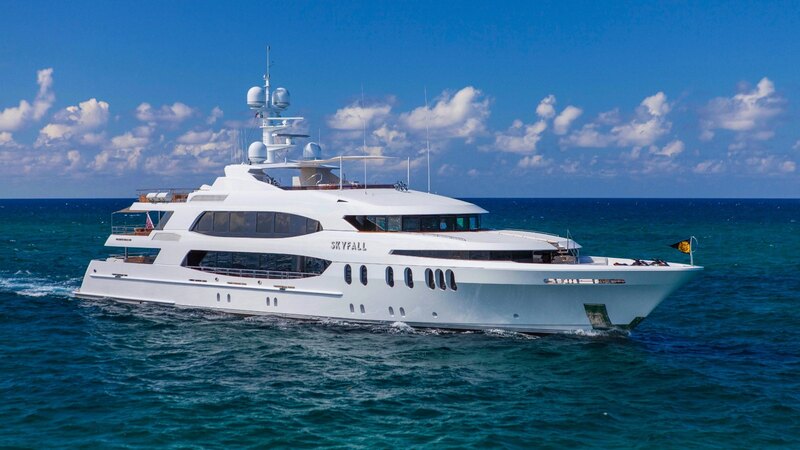 Skyfall is defined by her luxurious fittings, generous layouts and exceptional attention to detail. Expansive 3,707 square footage of external deck space, including basketball net on aft sun deck. As you enter the main salon, Skyfall provides temperature controlled wine storage for the avid wine connoisseur. Store your wine from home and bring board your next charter on Skyfall! The versatile sun deck includes a plunge pool plus Jacuzzi, al fresco dining, and plenty of space for lounging and entertaining. 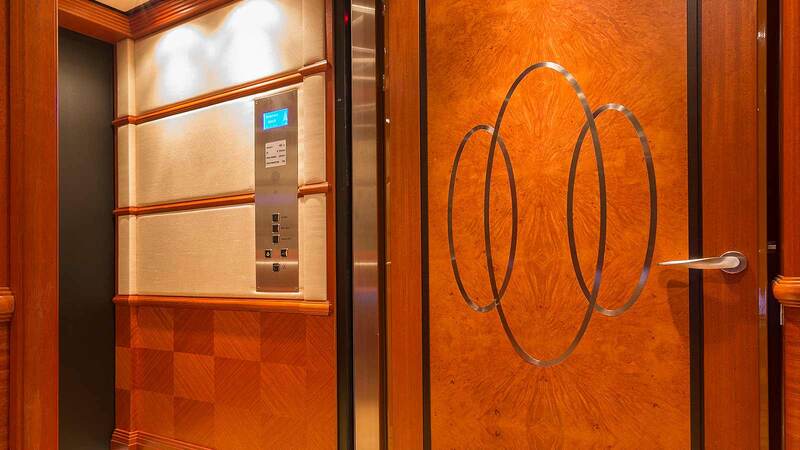 Not only does Skyfall have 6 staterooms, but a spacious, wheel chair friendly elevator serves charter guests on 3 decks. The yacht is well-equipped to accommodate various guests needs. Step on board luxury charter yacht Skyfall and take a 360° tour of this stunning 190 Trinity. Please complete the form below to send us an Email. Our Charter Team will respond to your inquiry shortly.